While some people might try to do the proper thing and decide it is better for them to sleep off the alcohol in their system and not drive, sleeping in their vehicle is never a good idea. There are many cases where someone has done this in the past, only to be awoken to the police knocking on their window and being questioned why they were sleeping their vehicle. Furthermore, the police can request a sample, and one can be charged with "Care and Control" because the vehicle was not in motion when they police discovered it. To illustrate this offence, let's look at an example. You initially volunteer to be the designated driver for you and your friends. But, as the evening progresses and you see your friends having fun drinking, you decide to join in, and by the end of the evening, know you are no longer capable of driving sober. You inform your friends you will not be able to drive them home. Instead, you call taxis and while waiting to be picked up everyone gets into your car. You start the engine because it is cold outside, to stay warm until the taxis arrive to take everyone home. Prior to the taxis arrival, the police notice your car idling, and decide to investigate. At this point, they can smell alcohol and begin an inquiry, upon which they arrest and charge you with "Care and Control" because you were sitting behind the wheel of the vehicle. Your friends, on the other hand, may or may not be charged with "Care and Control," and if they are not, are informed they cannot wait inside the vehicle for the taxis. Keep in mind this is just one example and there are numerous situations where the police might charge someone with "Care and Control." Fortunately, there are various defences that can be used to fight the charges. Furthermore, the Crown must prove beyond a reasonable doubt to the Court, that there was a risk of danger of either intentionally or accidently setting the vehicle into motion. Please keep in mind the above information is provided for educational purposes only and should not be deemed actual legal advice. 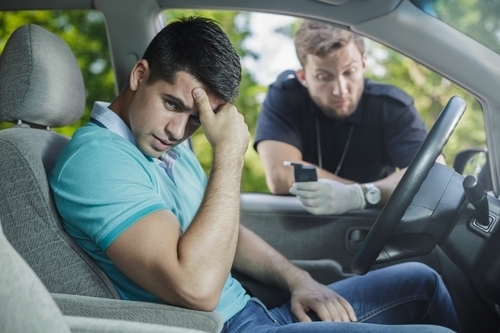 If you have been charged with "Care and Control," impaired driving, or "Over 80," you need to speak to experienced Ottawa DUI lawyer, Celine Dostaler. Call 613.695.8595 today for a free 30-minute consultation.